This touching statue features Christ with two children; one safely asleep in his arms, another gently embracing his side. 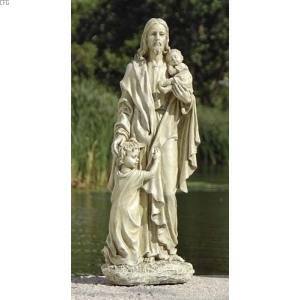 A beautiful image for any school or church, this statue is a great gift idea. Intricate detailing makes this statue realistic and is sure to remind us of the special love Christ has for the young!